The brake pedal assembly is attached to the firewall and dash. It is also a critical part of the stability for the steering column. Inside the car disconnect the servo connections to the brake pedal and the brake switch on the side of the pedal. To remove the brake pedal assembly there are four bolts on the firewall which also hold the servo brackets in place. Remove the brake servo or reservoir if you haven’t already. Undo the four bolts and get back inside the car to take the weight of the assy. 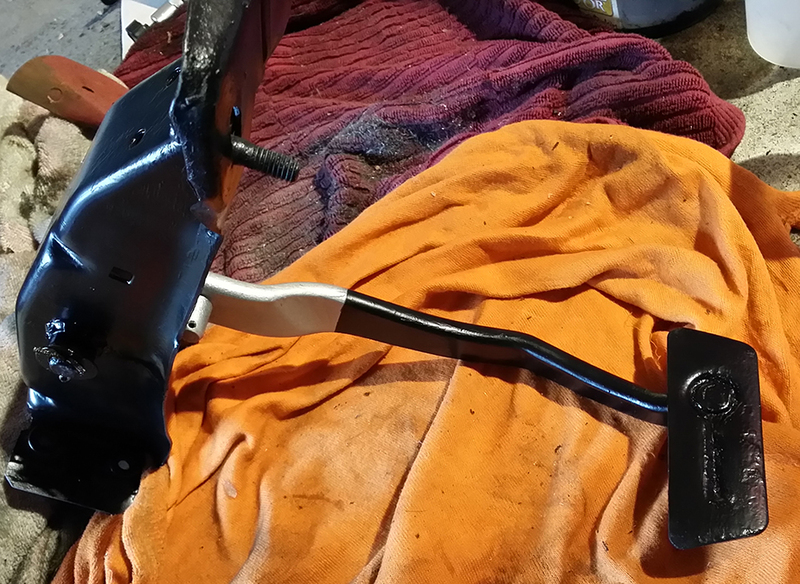 Although you don’t have to remove the steering column it is attached at the top and you will need to remove the bracket top and bottom from the column. Once these two front bolts are also undo the whole bracket will be able to be lifted out from under the dash. You will notice the rubber grommet in the firewall damaged by the small fire from the previous owner. To start with there are two pins on the brake pedal, a smaller one for the brake switch and a much larger one for the pivot of the pedal inside the bracket at the top. Check the movement and play for the pedal to see if the pin or the bushes need to be replaced. The first job is to remove the pin to allow the brake pedal to be removed from the bracket. Remove the split pin and push from that side to remove it. The pin should move freely and there are four bushes to hold the pedal. There are two on the outside and the two on the inside that will take most of the wear and tear. I have two new bushes for the inner replacements. The bushes have a spiral cut and are very easy to remove and replace. Keep the washer from under the split pin and the four pushes safely. Check the main bar for signs of scoring and wear, replace with a overhaul kit which will have the pin, bushes pin and washer if there is excess play. The pedal bracket and the pedal arm itself were degreased and then the lose rust was removed. The rust was treated with Granville Rust Cure both inside and out. The pedal and the bracket were given two coats; I used a self etching primer to give a base coat, once it had dried I then applied atwo coats of the Eastwood under hood satin black and allowed to dry. Rebuild of the Pedal Assy. Each of the parts being fitted will need to be given a generous application of White Grease, on all the bushes, and the main bar. I used the Comma brand, water & heat proof non drip lithium enriched. Take the brake pedal arm and insert the two new bushes into the holes. Take the larger pivot pin ready, and place the bushes on the right hand outside of the bracket. Align the pedal to where the pin is starting to come through the bracket. Push the pin through the pedal arm and the bushes which should expand to allow the pin through. Place the last bush into the bracket around the pin and place the washer on top. Insert the split pin into the hole fully and bend the legs around to stop the pin from coming out. Place back under the dash and lightly attach the top part of the steering column bracket. Align the studs and lightly hold the bracket to the dash. You could get a second pair of hands to hold the bracket to the firewall in place, or wedge it in place to enable you to get a bolt in place to hold it to the fire wall. Replace all the firewall bolts via the servo or replace the bolts and tighten up then the top two bolts. Attach the servo connections or master cylinder and the brake switch to the side of the pedal. Adjust the pedal travel in relation to the servo. Hi Dean, a little stumped. 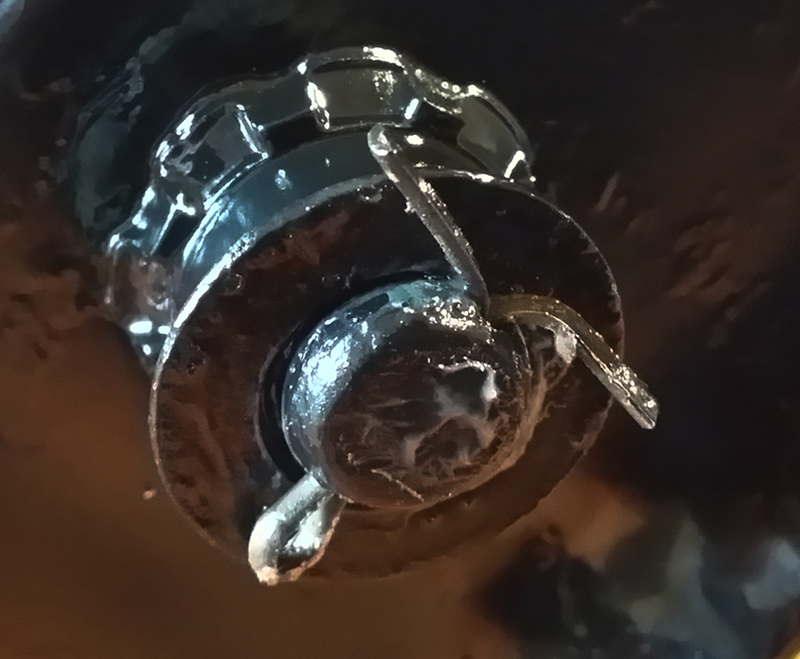 The brake switch has a constant live feed to it, has that been checked? Is the switch working and the lights have a correct grounding. I know this is an older post, but I am getting ready to take out the brake pedal on my Falcon, and this really helped. Thanks for the great pictures! 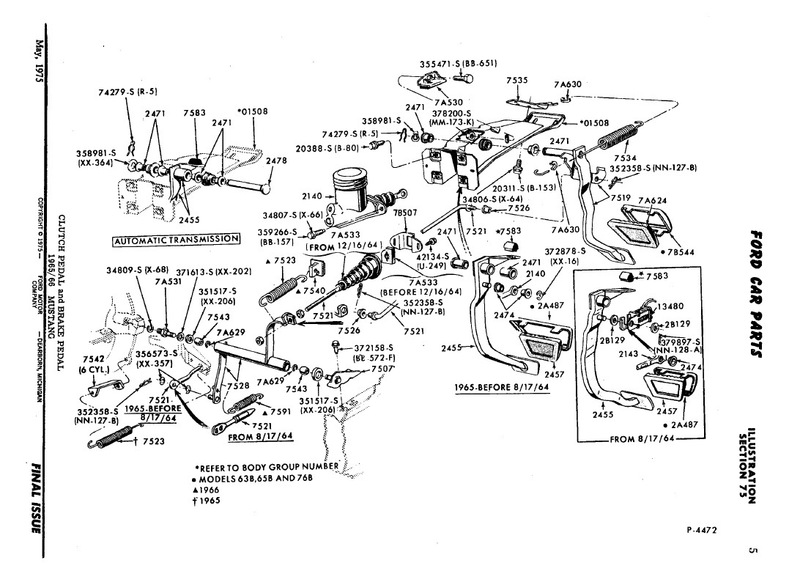 I am looking for a complete assembly like theone on your viedo can you suggest where to find one I do not have one because my car was converted from stanfard to automatic, the one I have is all wore out and I do not gety brakes with it. I have replace all brake pads and seals pus master cylinder and no brake pedal. Thanks for the question but I am not sure where you are based, but in the UK I would highly recommend Mustang Maniac, there are plenty of links to them on my blog, or go to http://www.mustangmaniac.co.uk for their WebShop. In the USA there are numerous suppliers and the big names should be able to help you out. I have some links on my blog for them too.